I always say to myself how lucky I am living in a democracy, and I despair at those who do not appreciate this great privilege. To be able to think and say and write what I want, without having to look over my shoulder is one of the greatest gifts in my life. What a marvelous prerogative it is to just log on to my weblog, write away and know that my life or liberty is not in danger. Sadly this is not the case for Iranian bloggers. Along with the newspapers, Iranian bloggers have been at the receiving end of a vicious onslaught by the Islamic judiciary. Many have been jailed and received unbelievably long sentences. One of the Iranian bloggers in danger right now, is Ahmad (Iranian name Aryo), Seraji from the town of my birth, Tabriz. Aryo was kidnapped outside his house by ten Islamic secret service men in two unmarked cars. Despite being outnumbered, Aryo fought the plain clothes agents fiercely until the agents had to resort to using chloroform dabbed handkerchief over his nose to put him out and drag him away. Aryo was arrested on prior occasions too and on one occasion after his release, he travelled to Tehran and chained himself to a pole outside the UN headquarters in Tehran, to protest at his ill treatment and the abuse of his human rights in the Islamic Republic. Needless to say, the apathetic UN staff paid no attention, what do they care about an individual protesting at his human rights abuse? they are there to draw a salary! 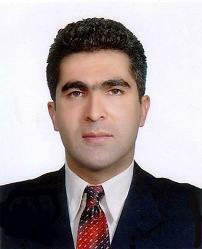 Aryo has been beaten badly and placed alongside drug addicts and common criminals in Tabriz prison. His seventy-two year old mother is devastated and there are genuine fears for her health too. The charge against Aryo, is the usual, "Acting against national security". Pitty the state whose national security is threatened by a blogger! what shaky foundations it must be on.